In 1976 two economists (Jensen and Meckling) introduced the concept of agency costs – the costs of aligning the incentives of different corporate actors. 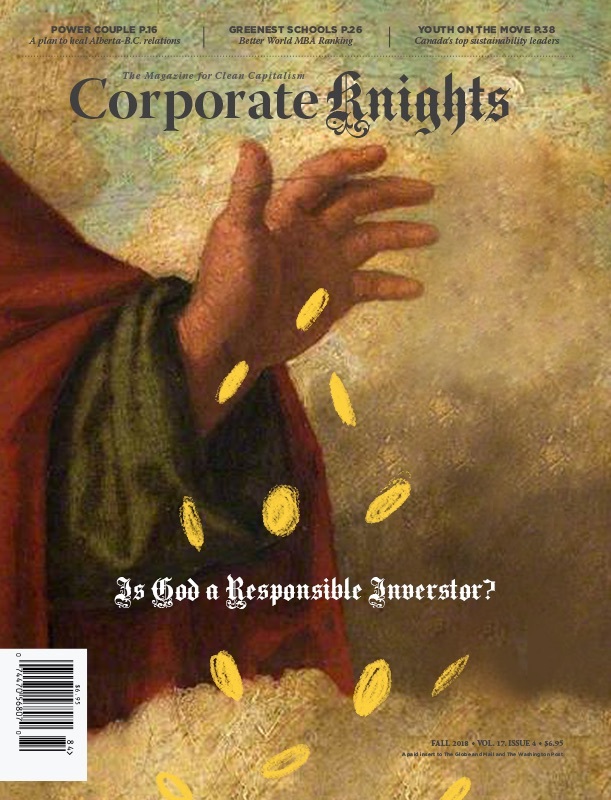 This characterization of the mission of corporate law has led to a 40 plus year search for an organizational Holy Grail – how to align the interests of shareholders and managers (and of controlling and minority shareholders) through a series of techniques, including regulatory standards, independent directors, take-overs and activist shareholders. The advent of the efficient market hypothesis reinforced the focus on market pricing as the arbiter of corporate performance (and of short-term shareholder value as the purpose of the corporation). We have learned, painfully, that neither of these ways of thinking about governance issues is sufficient. By the turn of the century, Jensen had become an advocate for “enlightened stakeholder theory” – a focus on maximizing total long-term market value. That concept has become challenging in a world in which change – technological and otherwise – is quicker and more pervasive than ever before. Only 53 companies have remained on the Fortune 500 list in my lifetime. Only two of those (Exxon and Johnson & Johnson) have stayed in the top 10. In the meanwhile, corporate law – the language of our statutes – has been overwhelmed by the advent of “corporate governance” – various governance codes have effectively become global legal norms. This, in turn, spawned an active governance industry and a variety of new analytical models of corporate law. There is no “right” governance model. Governance is highly contextual, depending on what a particular company does, its ownership structure and the markets and political frameworks in which it operates. Corporate governance is messy and complicated because that is life. The move from corporate law to corporate governance reflects a move from a simple legal view of the corporation to one that has become increasingly complex and dynamic, constantly responding to societal expectations. This frames the two issues I would like to consider with you this evening. First, the irony that corporate law and regulation have tended to frustrate dynamic adaption and have led to governance systems that underperform. A related problem is the tendency to oversimplify governance issues. I will consider the gap between rhetoric and reality (and relevance) that tends to predominate in thinking about corporate governance. The second topic I’d like to consider is whether there might be more constructive ways to think about corporate purpose. I’ll suggest that systems theory may be instructive. Hopefully, by the time I get through these two concerns you’ll still be listening and will understand why I’m so deeply honoured to be here this evening. One of the most striking features of corporate governance politics is that there are new controversies and consequential regulatory proposals every year. We have spawned a governance reform industry that has become incredibly adept at feeding itself. A related oddity is the fact that many of the regulatory initiatives are “symbolic” – they certainly cannot be explained by their relevance to improving corporate governance or performance. To take a current example, think of “say on pay”. We now have almost 7 years of data concerning the legal ability of shareholders to cast an advisory vote on executive compensation. Shareholders have typically approved compensation with votes in favour exceeding 90%. It is striking that shareholder support for executive pay appears to be highly correlated with a company’s short-term stock performance. To the extent that say on pay votes have heightened incentives to focus on short-term stock price at the potential expense of creating sustainable value, this regulatory initiative is surely misguided. I could give you many similar examples. I could also cite many examples of issues that clearly matter, but that no one seems to want to address in a meaningful manner. The inability of the Canadian Securities Administrators to agree on even a “comply or explain” climate risk disclosure regime, after over a decade of studying the issues, is a striking current example. In theory, securities law should already address this disclosure concern – the legal concept of materiality should define the line where sustainability issues become public disclosure obligations. Yet not only are companies avoiding effective metrics for disclosure, but regulators are accomplices to their inaction. The suggestion that issues are contingent or speculative doesn’t make them immaterial. Likewise, the absence of evidence is not evidence of absence. We know it is feasible to assess the materiality of a company’s exposure to climate-related financial impacts. In fact, a majority of industry-leading companies are already doing so – most often using metrics which lack comparability across industry peers or, worse, boilerplate language which is of little use to investors. It is unlikely that the explanation for this lies in false perceptions – we are talking about some of the most sophisticated and influential actors in our society. A more likely explanation is that governance is often viewed as a moral crusade – tapping into broader public sentiment without regard for materiality or the challenge of effecting fundamental change. The exercise becomes largely symbolic and, ironically, as a result, it is often conservative. While governance reforms maintain the appearance of solving problems, they often have opposite (or at best, very limited) effects. One systemic danger is that such reforms deflect attention from, and dull the desire for, deeper introspection. This account of the gap between rhetoric and reality suggests taking governance reform with a grain of salt. Understanding of exaggerated rhetoric of corporate governance should generate a healthy skepticism about who are the “good guys” and the “bad guys”. It’s a fence I’ve straddled for over 40 years! In this respect, the politics of corporate governance reform shares much in common with politics generally. This makes getting beyond the rhetoric – the work of Corporate Knights, and many of you – so compelling. This leads to my second theme – whether there might be a more nuanced and constructive way to think about corporate purpose. Bear with me while a high school drop-out tries to describe some basic principles of systems theory. The first is that systems are more than the sum of their parts. Another is that systems are fractal – that is they are comprised of subsystems which in turn are comprised of other subsystems on so on. A third principle flows from the first two – that the overall health of the system depends on the continued health of each of its essential subsystems, as well as of the larger systems in which it is embedded. Think about how each of these principles applies to your organizations. The next step is to describe the essential focus of systems theory – addressing questions of sustainability and relevance. This suggests mechanisms such as redundancy (i.e., devoting more resources to some purpose than is necessary under current conditions), homeostasis (i.e., information and feedback loops that allow a system to adjust to disturbances in its environment and stay within the parameters necessary for its continued functioning), self-organization (i.e., the ability of a system to learn, diversify and evolve in response to shifts in its environment that might otherwise threaten its survival) and resilience. These mechanisms are common features of well-governed organizations. Finally, in systems multiple purposes are the rule, not the exception. What we observe about a system’s apparent purpose will depend on our level of analysis. Indeed, the purpose and functions of a system are often the least obvious parts of the system, especially to outside observers who pay attention to only a few events or stated goals. The lesson that systems-thinking offers on corporate purpose is that the overall goal of a corporate system should not be subordinated to the goals of any one of its subsystems (such as the share-ownership subsystem). As our Supreme Court has observed in the BCE decision, a critical role of governance is to mediate these tensions. Consider, for example, the potential risks of extremes of income inequality from a corporate “systems” perspective. There is pretty compelling evidence that these include risks to economic growth and financial stability, risks of political polarization and the erosion of social cohesion and risks of destabilizing nationalism and populism at both ends of the political spectrum. The likelihood that we may, at least temporarily, lose our political “centre” in today’s provincial election is but one of many warning signals. These risks clearly impact long-term corporate (and investment) performance. Where does this thinking lead? First, systems theory counsels against focusing on any single metric (and in favour of the need for new ones – the relevance of metrics inevitably run down over time). To take the obvious example, short-term profitability is not so much an objective as a constraint a firm may have to meet in order to remain in business. Metrics such as profits, employee turnover, and customer satisfaction are not ends in themselves. Rather, they are a source of information about whether the corporation is relevant, resilient and sustainable. A second lesson from systems theory is that, given multiple purposes and the complexity inherent in systems analysis, it will be difficult for academics, lawmakers or the corporate governance industry to identify “one size fits all” reforms that can reliably improve the performance of all companies. Attempts to impose such “silver-bullet” solutions are more likely to result in what an academic colleague, Roberta Romano, has described as “quack corporate governance” that often does more harm than good. The systems challenge is to bring about a paradigm shift that restores connectivity between investors, employees, management, other corporate stakeholders and governments. This will require thinking differently about how the constituent elements interact and produce results. Many of us have participated in such paradigm shifting before – think of the last three decades of the 20th century when an underlying shift took place focused on maximizing short-term returns to shareholders. It’s time to flip that switch. What does all of this have to do with my deep respect for Toby, for Corporate Knights and for each of you, who support its (somewhat subversive) mission? Whether by analysis or intuition, I think Corporate Knights has managed to avoid the “governance trap” and to focus on meaningful change – restoring the connectivity within systems. In contrast, Corporate Knights has taken a longer view, being rigorous in analysis while assuming positive intent, encouraging adaptive responses rather than calling for more rigid and formal compliance requirements. Hence my sense of appreciation and humility for the honour you have afforded me this evening. I am very grateful and privileged to be in such good company! Edward J. Waitzer was awarded Corporate Knights Award of Distinction for his seminal work advancing the legal foundations for corporate and pension fund leaders to serve the public good. He presented this speech at the Best 50 Corporate Citizens in Canada Gala on June 7, 2018 in Toronto.